PRESENT REALITY usually becomes so quickly accepted that what went before can be equally quickly forgotten. And Hackney is changing so quickly. 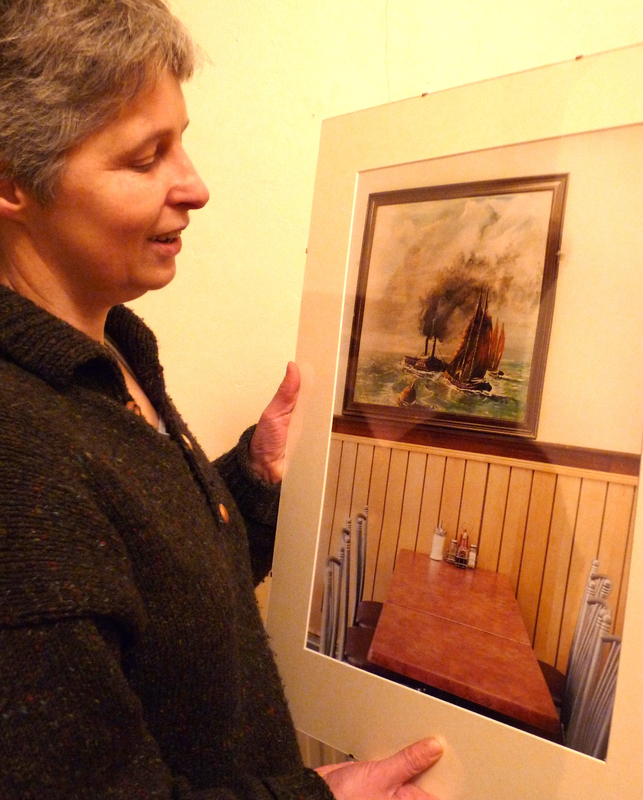 The photographs of Cath Forrest, soon to go on show in Clapton, are a reminder of that. Viewers of her colour prints who have lived in Hackney for several years will find themselves saying “Oh, yes, I remember that”. With her single-lens reflex Nikon FE2 loaded with colour film (Kodak or Fuji), Forrest ambled through and around Dalston for a few years after 2000, photographing whatever caught her eye. As she started to print the images, on Kodak colour-print paper at Chats Palace, an arts centre in Homerton, a theme seemed to emerge. By the time she had used the last sheet of paper, which the digital-camera revolution had made almost certainly impossible to replace, the idea of an exhibition was coming to mind. She decided to entitle it Home Is Where The Heart Is And Other Photos From Disappearing Dalston. Forrest, whose regular job is translator, told Loving Dalston that she had focused mostly on objects. “I was looking at details rather than people,” she said, “…the look and feel of Dalston. The result is a kind of history, an archive. Dalston is a magnet for photographers and film-makers; even as Loving Dalston was striding through the dark Hackney night to interview Forrest, a fashion shoot was under way at the Samuel Lewis Estate. Last year a slide evening at Hackney Museum filled seats in the venue. Among the photographers exhibiting on the screen were Chris Dorley-Brown, whose intriguing collages Loving Dalston wrote about in November 2010. * Home Is Where The Heart Is And Other Photos From Disappearing Dalston, Pogo, 76 Clarence Road, Lon E5 8HB, Thurs 1-Sat 31 March, Wed-Sat 12.30-9pm, Sun 11am-9pm. * Alexandra Blum, Barratt Homes artist-in-residence at Dalston Square, will discuss urban regeneration when she talks about her exhibition, Archaeology of Urban Time: Drawing Dalston, at CLR James Library on Wed 29 Feb 2012 at 7pm.